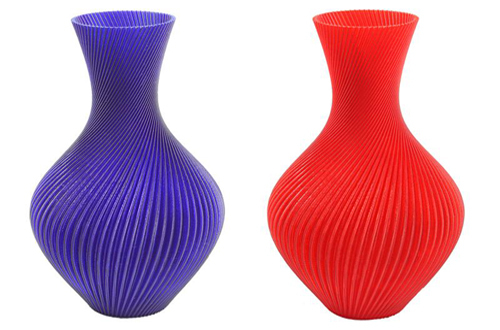 Polymaker, a filaments supplier for extrusion-based desktop 3D printers, has co-developed with Covestro a new line of polycarbonate (PC)-based materials for these printers. The first two products in the new line are Polymaker PC-Plus and PC-Max. The application was made possible by lowering the printing temperature from 300-320°C down to a moderate 250-270°C as well as by a significantly reduced tendency to warping. Compared with existing 3D printing materials, Polymaker PC is said to offer high heat resistance of over 100°C, making them suitable for lighting, engineering and all types of applications that require good structural stability when exposed to heat. In addition, Polymaker PC-Max further exhibits improved mechanical properties – increased toughness, in particular for mechanically demanding applications. To date polycarbonate has only been available for applications in exclusive, industrial 3D printers or a small market for extrusion-based 3D desktop printers. Polymaker PC can easily be post-processed by sanding, coating or other methods. Additional advantages include intrinsic flame retardance, optical transparency and resistance to chemicals and solvents, added Covestro.